﻿ Gran Senyiur Hotel, Balikpapan | FROM $33 - SAVE ON AGODA! "Staffs are polite and helpfull." Have a question for Gran Senyiur Hotel? "We really enjoyed our stay in this hotel." "The room & the bathroom were clean." "All friendly hotel staff and prompt services." "Classic hotel (no high expectation for room) Staff's are gre..."
Situated in Balikpapan City Center, Gran Senyiur Hotel is the perfect place to experience Balikpapan and its surroundings. The hotel is not too far from the city center: just away, and it normally takes about 19 minutes to reach the airport. A haven of rest and relaxation, the hotel will offer total renewal just steps away from the city's numerous attractions such as Balikpapan Plaza Shopping Center, E-Walk Balikpapan Superblock, Monument Perjuangan Rakyat. 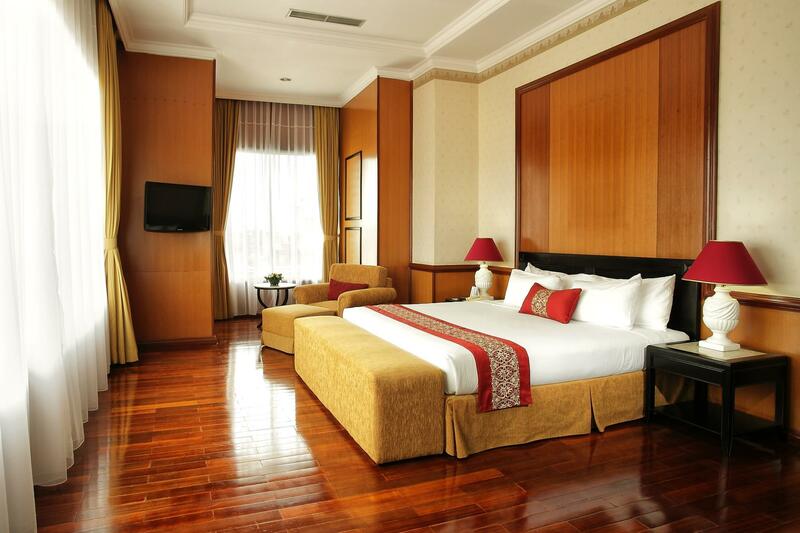 At Gran Senyiur Hotel, the excellent service and superior facilities make for an unforgettable stay. For the comfort and convenience of guests, the hotel offers 24-hour room service, free Wi-Fi in all rooms, 24-hour front desk, Wi-Fi in public areas, valet parking. The hotel features 181 beautifully appointed guest rooms, many of which include television LCD/plasma screen, sofa, internet access – wireless, non smoking rooms, air conditioning. Besides, the hotel's host of recreational offerings ensures you have plenty to do during your stay. 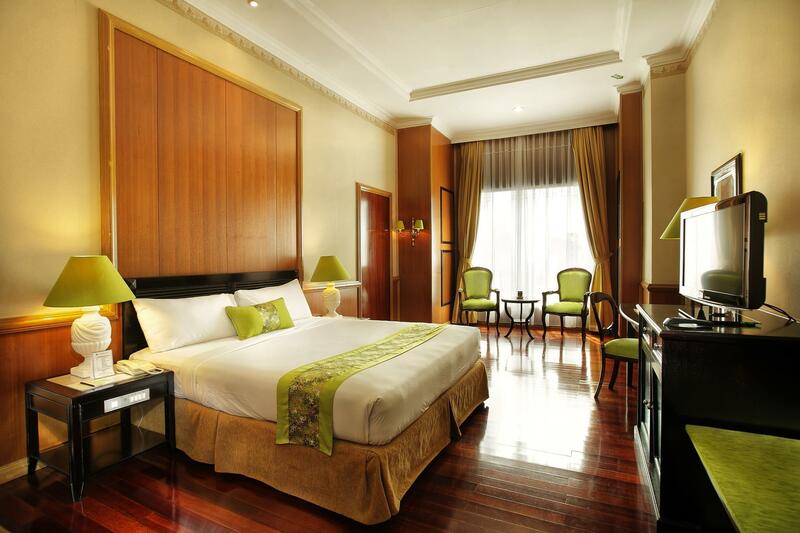 Discover an engaging blend of professional service and a wide array of features at Gran Senyiur Hotel. "Great value for money, best hotel I stayed in Kalimantan"
We really enjoyed our stay in this hotel. The room & the bathroom were clean. They changed the towel everyday. We were satisfied with the variety in the breakfast buffet & when we found the watermelon was not really in a good taste, the staff rushed in to change it to the new one. All the staff are friendly and professional. We will definitely come back in the future. Thank you. The decline in the local economy (oil business has left) is reflected in this hotel. Old fashioned seventies 'gradeur' without upkeep. Few guests do patronise this venue nowadays, apart from government and army bobo's. The restaurants are empty, the rooms are spacious, the staff can't help the delapidation. But what is your alternative in Balikpapan nowadays? My stay in the Gran Senyiur Hotel in Balikpapan was quite good. I enjoyed my stay there. The location is near the downtown area. It was easy to get around. I also like the breakfast in the hotel. It was quite delicious. My stay in the Gran Senyiur Hotel in Balikpapan was quite good. The location of the hotel is within the downtown area. The hotel facilities for business meeting is good. And the breakfast was also quite good. Thumbs up! You grew in it the longer you stay. My first impression of this hotel is a bit old, then, during my three days stay, no complaints at all. Everything works and though the hotel is a bit old but still well-mantained. The food quality is good. I am very impressed with the breakfast. Though not too much selections, but, enough for a pleasant morning. Especially a fresh brew coffee is served when you ordered. We had breakfast for 3 days, and the GM was there every morning at 0730. The Chef constantly checked the breakfast buffet for topping up. The staff always service with a smile. When I asked for early check in and late check out. Confirmed right away. Though wi-fi a bit unstable, but there is a internet cable provided in the room. I ordered Pizza as Room servie, it came within 20 mins and it is one of the best pizza I cannot imagine that I can have it outside of Jakarta. Net, net, totally love this hotel and will definately stay again. Totally differnet to a very disappointing stay at Bumi Senyiur at Samarinda. Hotel food very delicious, you can have many option, restaurant at First floor, lounge beside hotel recepcionist desk, sky caffee on 8 floor and seafood restaurant on 7 floor. I have very nice rest on that hotel. Bed very comfortable, security staff very friendly. With 4 usd per person, easily you can go to the airport. Please visit the sky at 8 floor at night due you will see balikpapan city at night. I will back to this hotel. For a business traveller, this hotel provide the essentials required. Internet connection and Wifi in room available, room is big, interior is not modernly designed but cleanly furnished. There is a good seafood grill restaurant at the Sky bar in the hotel overlooking the city from the top serving great food. Also the hotel location is ideal, being approximate 20minutes from the airport and away from the busy main road where one can have a good night quiet sleep. Will recommend to all travellers to stay here. Staffs are polite and helpfull. Poor facillities : very poor internet connection (wifi), electricity outlet only 2 (one near the table - share with the electric tea kettle and the other one is in the bathroom). Breakfast variety is ok but the taste is below average need to be improved. 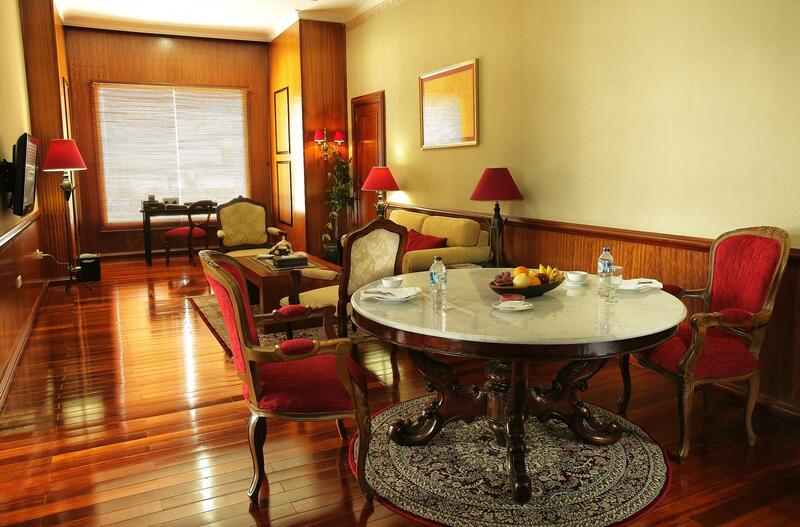 First time I step my foot in Balikpapan with my wife for business stayed in Gran Senyiur Hotel .The classic interior design with the huge grand porch had attracted us indeed . 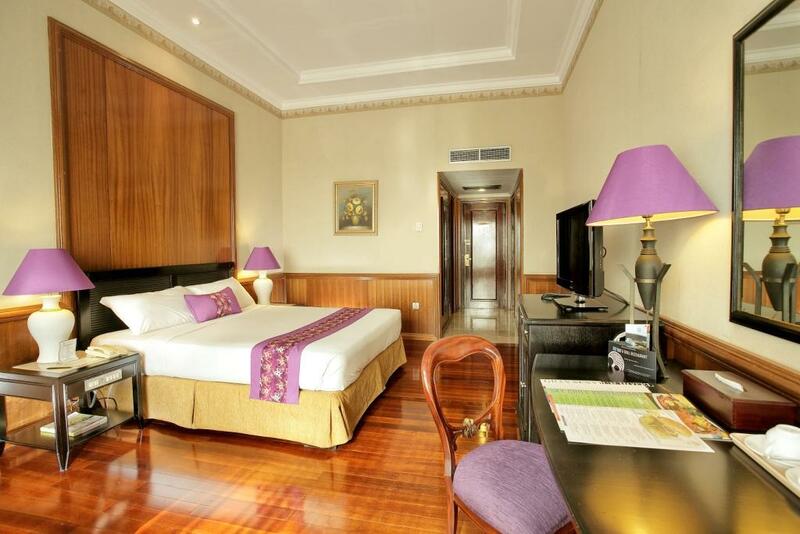 The rooms are clean spacious with quality finishing,staff are friendly .we are looking forward to stay in Gran Senyiur Hotel in our next visit. Despite the fact that this is an old building, the facilities were in good conditions. My kids were especially in awe with the swimming pool because there was a slide and they thought it was kinda cool. The bedroom was clean but there were some small insects on the table that kept on coming though I tried to swipe it many times. The bathroom was clean and the water run properly. The breakfast was okay, I guess..I was kinda expecting something more because the "five star" status of the hotel. They could definitely try to add some other variety of food. Oh, and they should really recheck the welcome brochure in the bedroom because I found some mistakes in grammar and spelling. Considering that they are a five star hotel, they should really aim for perfection in every aspects. It is an OK hotel, clean but starting to show its age. The room size is massive. It is situated close to outstanding restaurants (Ocean's). There must be better hotel in Balikpapan. The breakfast is average at best.